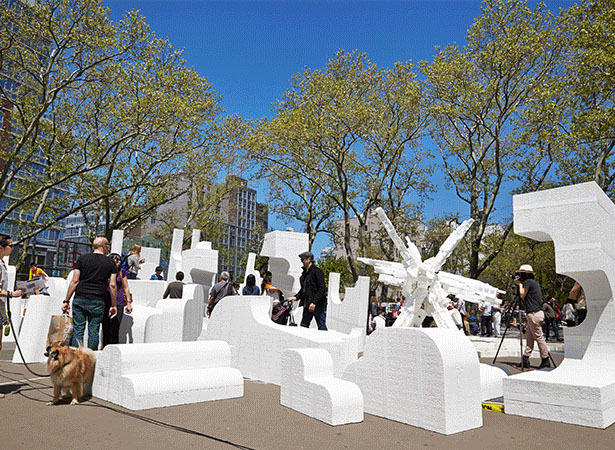 IDEAS CITY: Third Edition of the Festival will Explore The Invisible City. Lisa Phillips, Toby Devan Lewis Director, New Museum; Karen Wong, Deputy Director, New Museum; Rosalie Genevro, Director, the Architectural League of New York; Bob Holman, Founder and Proprietor, Bowery Poetry Club; Elizabeth O’Donnell, Acting Dean, School of Architecture, Cooper Union; Brett Littman, Director, the Drawing Center; and Eva Franch i Gilabert, Director and Chief Curator, Storefront for Art and Architecture. Founded by the New Museum in 2011, IDEAS CITY is a major collaborative initiative between hundreds of arts, education, and civic organizations centered on the belief that culture is fundamentally and inextricably vital to urban growth and innovation. The Festival builds on the New Museum’s mission of “New Art, New Ideas” by expanding the Museum beyond its walls into the civic realm. The theme of this year’s Festival is The Invisible City. During three days of conferences, debates, workshops, performances, and architectural and artistic interventions, IDEAS CITY will explore questions of transparency and surveillance, citizenship and representation, expression and suppression, and the enduring quest for visibility in the city. The Festival will reconfigure the Bowery neighborhood into a multi-platform incubator that asks a collective public to explore issues faced by the city, propose solutions, and seed concrete actions. “The intangible, seething energy that the legendary Bowery neighborhood is steeped in will once again become visible as we peel back the surface of the streets to take a closer look at the lives that surround us every day, in our own neighborhood and beyond, to expose, examine, and question the numerous cultural, social, political, and technological transformations we are undergoing as a society,” said Joseph Grima, Director of IDEAS CITY. Image: Courtesy IDEAS CITY Festival.